Nowadays, more and more webpages are created to satisfy various needs of people. Adobe Muse Templates are the ones that do not require from you writing any codes to launch your site. 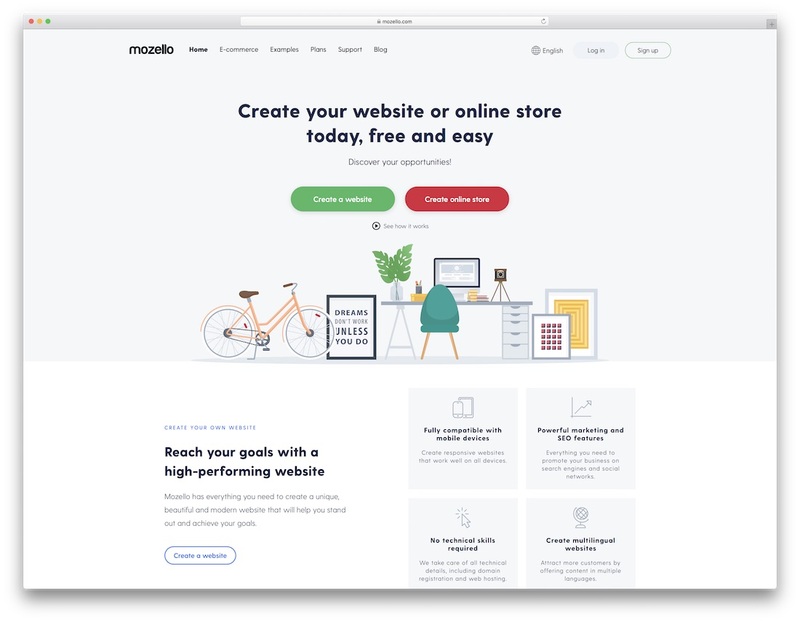 To enhance the productivity of pages, widgets are added to Muse to provide you with advanced possibilities, such as adding a blog, eCommerce, animation, etc. to a website. However, because of these widgets, the webpage may look crammed and disorganized. To prevent pages from looking overfilled and to make the page design clean, it is advisable to consider the notion of ‘white space’. White space is the space which left on purpose between graphics, margins, columns, lines, or images. It is an essential design element because it helps to arrange the content on a webpage. 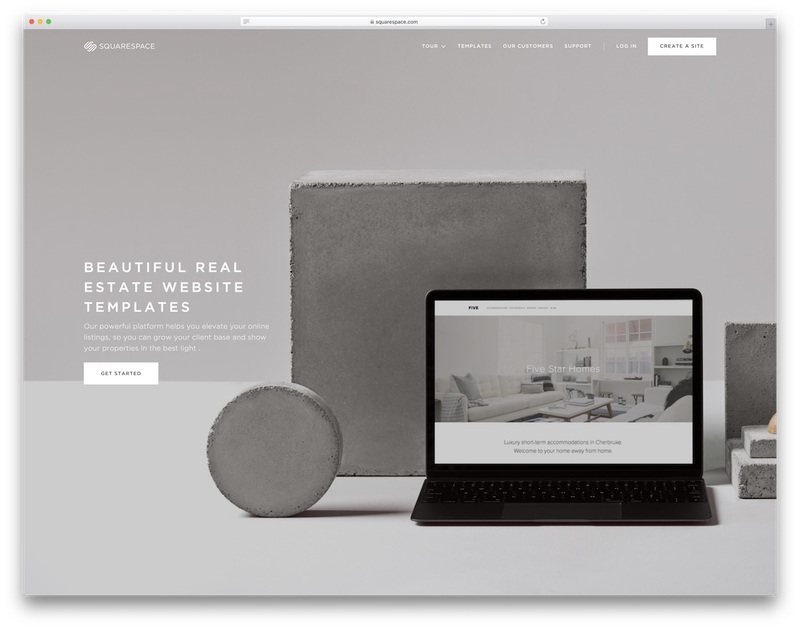 Clean web templates use white space to create aesthetically uncomplicated experience for the visitors, as such pages allow you to perceive information more easily and to focus on the content. To achieve this, templates with clean design often use play with color, applying contrast to color schemes. 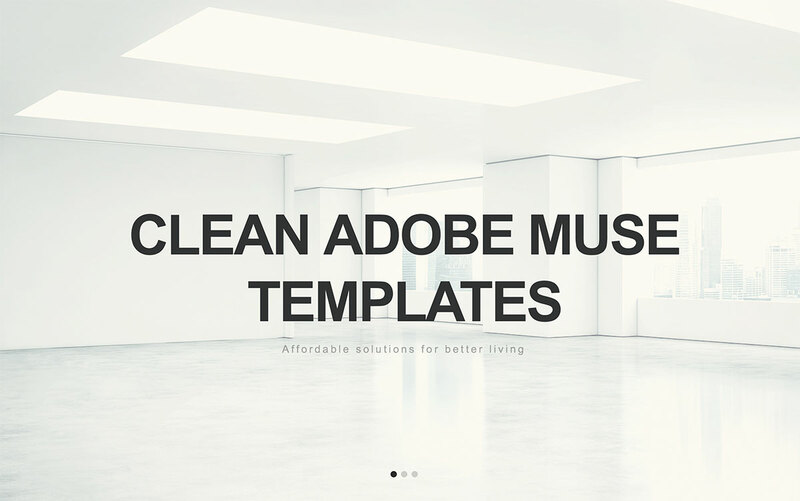 Let us have a look at 15 best Adobe Muse Templates with clean design. You will find a variety of templates that can be used in different spheres of life and for different purposes. Using Adobe Muse platform, you will be able to create a powerful website. You do not have to edit your code, as you have a possibility to access your fonts, colors, vector graphics, and images to customize your website with the help of an efficient Drag and Drop Content. To edit the typography of your webpage, you can take advantage of Typekit Webfonts. This service allows you to use thousands of fonts from foundry partners in one library, which makes the process of browsing typography much easier. Moreover, when you apply your changes to the website, there is no need to test anything in different browsers or platforms. You can be sure that CrossBrowser option will guarantee the same effective performance in all browsers. In addition, your page will load faster and have better SEO ratings due to the valid, semantic HTML 5 code. 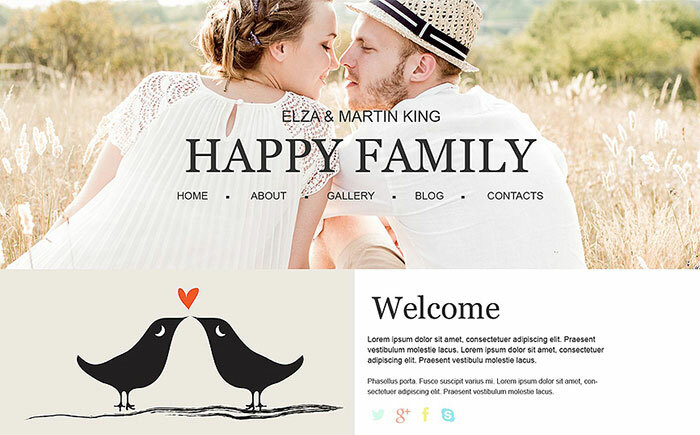 This template which is suitable for photographers will showcase images in the best way. It is Adobe Muse ready, which means that you have lots of possibilities to apply various colors, graphics, and images to adjust the site to your needs. The 2-column layout will help you prioritize various elements on your page. To emphasize your style, feel free to use Typekit Webfonts. You will be able to find numerous fonts from foundry partners to make your page look unique. The gallery of your images can be shown with the help of Carousel, which improves visitors’ visual experience. 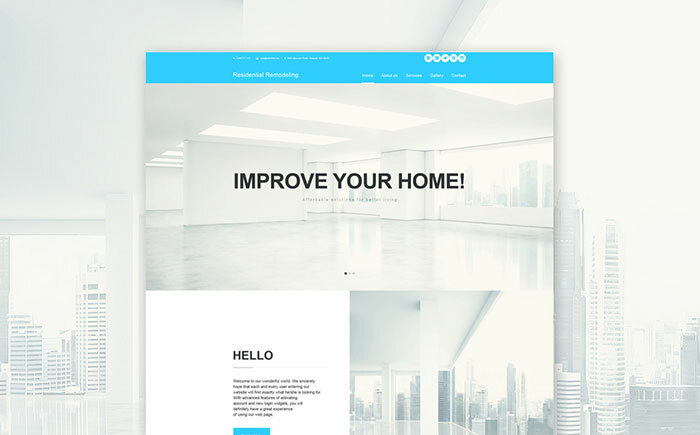 Back to Top button included in this template makes the site navigation more enjoyable and easy. What is more, the template includes Contact Form that allows your visitors to get in touch with you in a couple of seconds. 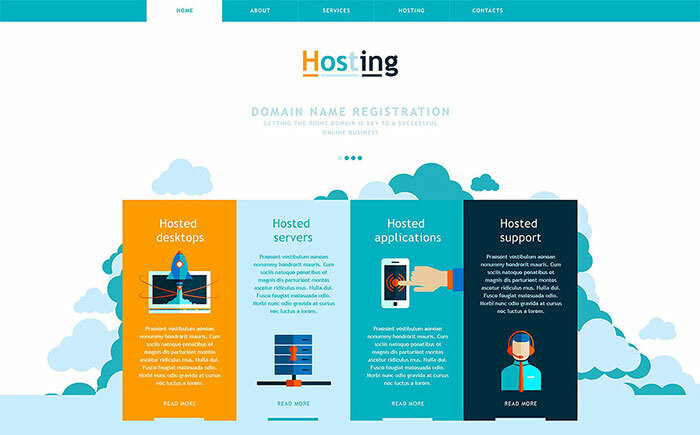 Simple, but at the same time elegant, the template is applicable for those who deal with hosting. Presenting the content of your page in a clear way is achieved due to the 2-column layout. You can create a website without even touching a single line of coding, knowing at the same time that your page will be fast to load and have better SEO results, as its valid, semantic HTML 5 code has already been optimized for that. Also, checking your website’s functionality in different browsers or on different platforms is not required, as the template is characterized by Crossbrowser Compatibility. Another detail that is worth mentioning is the amazing Parallax effect that is included into the template. It will definitely draw your visitors’ attention and improve their experience of browsing your site. This smart-looking template can be used by family clinics. To present your images and services, you can benefit from a well-structured 2-column design with a gallery Slider. Additional visual effect that will appeal to your visitors is Parallax, which creates a sense of full immersion into the page. You also have a chance to showcase your services with the help of a video, because the template has got video integration options due to the embedded Video Player. Typekit Webfonts will provide you with numerous possibilities to highlight important elements and parts. If you wish your customers to get in touch with you quickly, take advantage of the Contact Form provided in this template. In addition, to facilitate the process of finding your company, you can add a Google map on your webpage. When you are editing your website, you do not have to touch any line of coding, as the template is Adobe Muse ready and has got valid semantic HTML 5 coding. Moreover, its compatibility with different browsers will save your time, as you do not have to check what your page looks like in different browsers. Designing a webpage can be compared to designing exterior or landscape. So, if you are a landscape design company worker, you will appreciate the style of this carefully crafted template. This Adobe Muse ready template will make the process of creating a webpage an easy experience, as you can customize the page and edit your fonts, colors, vector graphics, and images with the help of an efficient Drag and Drop Content. Typekit Webfonts will help you accent essential elements, descriptions or objects. 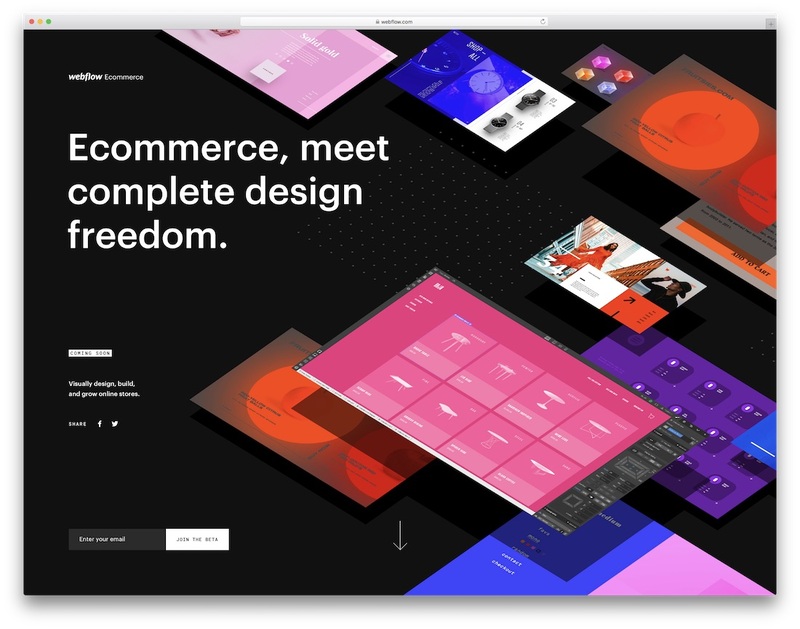 To impress your visitors, you can combine static images with incredible Parallax animation effects. Contact Form and Google maps are efficient parts that can be added to your website to encourage your visitors to stay in touch with you easily. If you wish to create a wedding or family album online, you will probably wish to put emphasis on the images rather than on the site itself, so this plain and pure template will make your pictures stand out and attract your visitors’ attention. Enhance the visual effect with the help of Parallax animation that is available in this template. Typekit Webfonts are an important element if you want to reflect various styles on your webpage with the help of descriptions. Valid semantic coding will ensure the easiness of creating the website, while Crossbrowser Compatibility deprives you of the worries about the look of your site in different browsers and platforms. Contact Form, which is supplied with this template, is a useful tool to communicate with your clients. 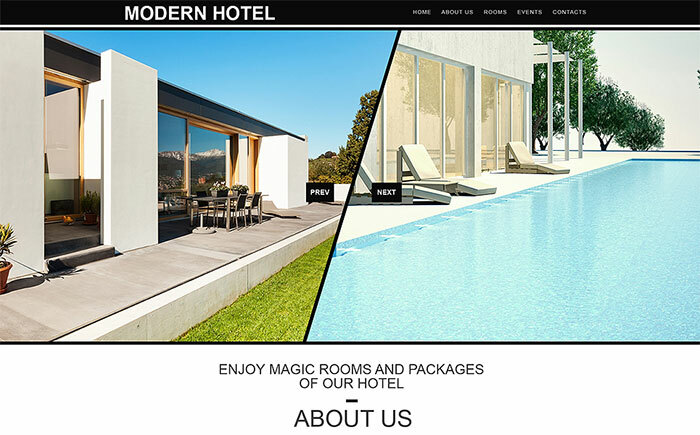 If you are looking for a template to create a powerful website of a hotel, this one-column template is the right choice for you. 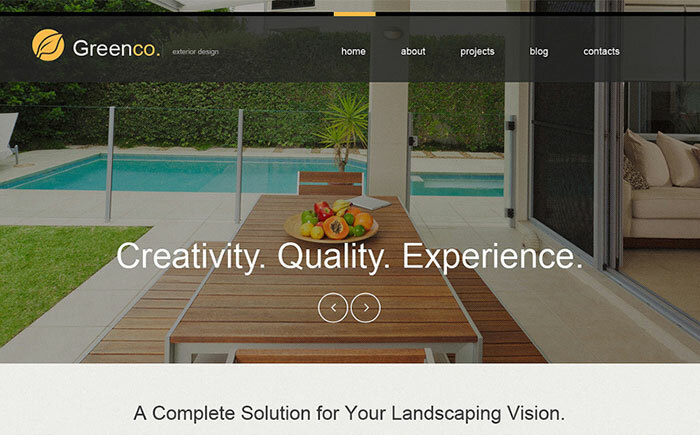 It presents wide images of your rooms and services effectively. 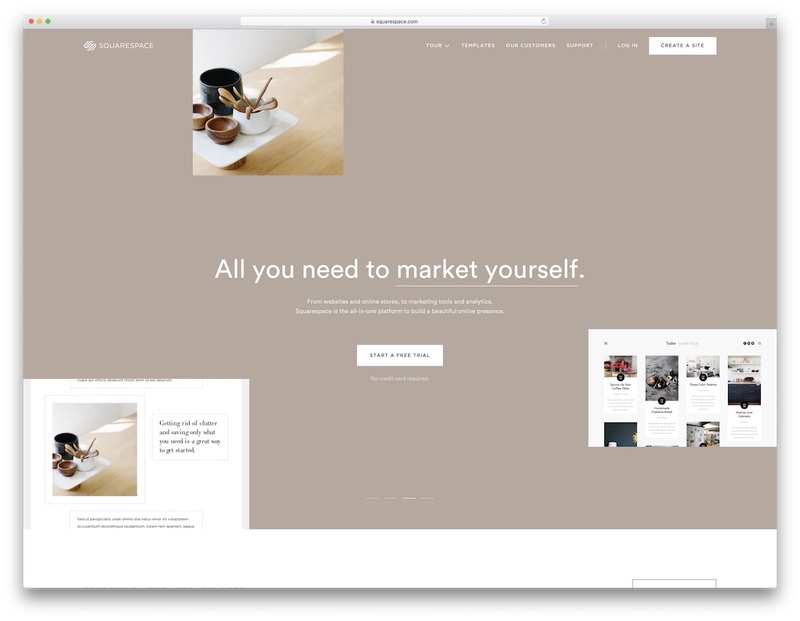 You can apply Slider to your galleries to make navigation more remarkable. 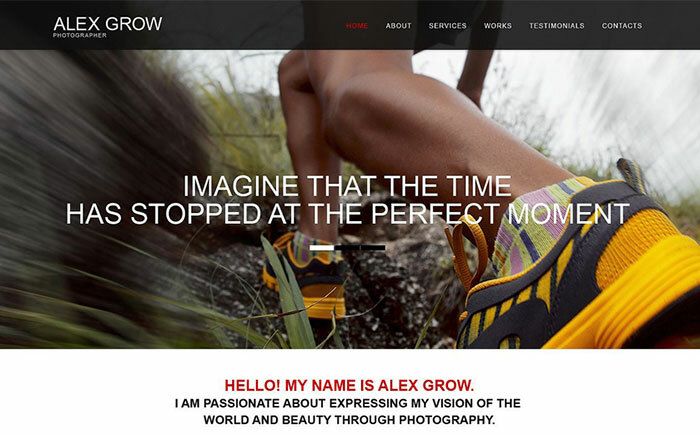 The combination of static images and Parallax effects available in this template will impress your visitors even more. Valid semantic HTML 5 coding helps you create an effective webpage in a couple of days, without touching a single line of coding. 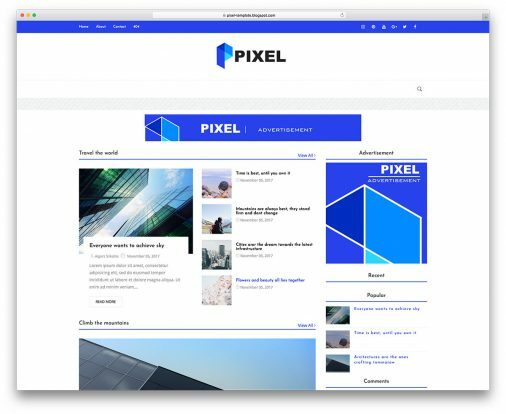 To make your page look good in any browser, this template is equipped with Crossbrowser Compatibility. There is no doubt that your visitors need to know the location of your hotel, so Google maps will become an essential element of your website. Also, to find out any details, your visitors will be able to use a Contact Form that will be place on your website. 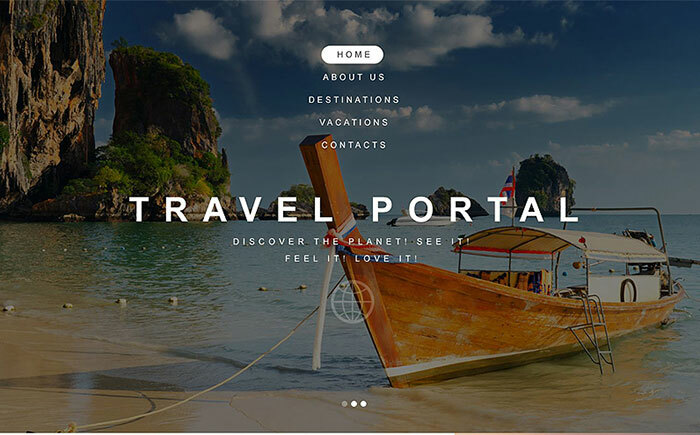 To create a striking travel agency webpage, you can bring this template into action. The template is characterized by a 3-column layout, which gives a chance to present different categories effectively at the same time. To add emphasis and make a distinction between elements, you can choose various fonts from Typekit Webfonts. Moreover, image galleries can be shown in a productive way with the help of Slider embedded in this template. 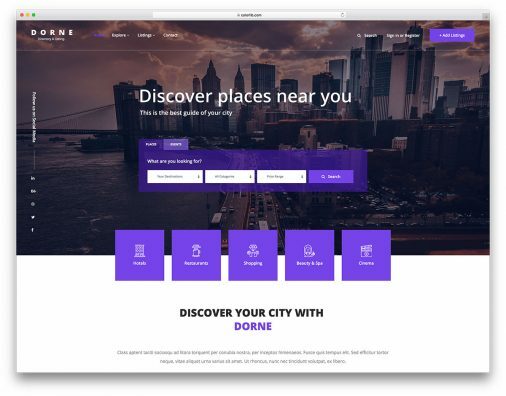 Navigation of the site will also be facilitated with the help of Back to Top button, while additional visual effect can be created with Parallax animation. As it is necessary for your clients to get in touch with you quickly, the template also contains a Contact Form that allows people to write to you in a couple of seconds. Even if you are not an expert in crafting webpages, valid semantic HTML 5 coding will allow you to design your website without any troubles, not even touching a single line of coding. Crossbrowser Compatibility was developed to guarantee your webpage’s good look in any browser, so you do not have to worry that your webpage will not look perfect in some browsers. 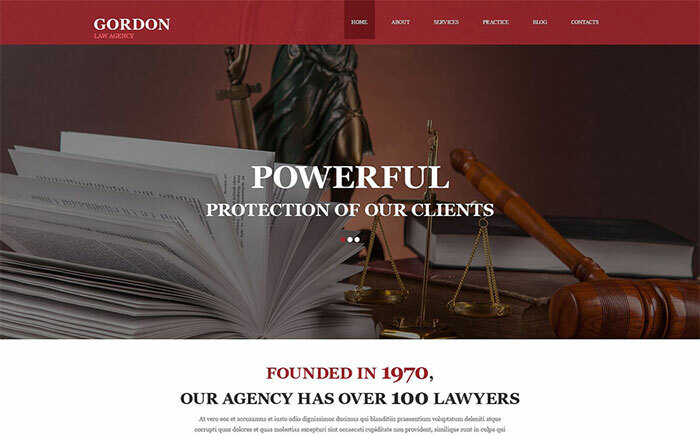 In case you want to have a website of a law company, this Adobe Muse template is an appropriate choice. Characterized by elegant and stylish look, it provides you with enormous functionality. Your content can be presented in two columns, and the images can be shown in a gallery with a Slider. Typekit Webfonts will be useful to match various objects and highlight important information with special typography. Your customers will value the Contact Form that gives them a chance to reach you instantly. The template is not overloaded with animation, so it looks business-like and professional. Such feature of the template as Crossbrowser Compatibility saves your time, as you do not have to check what your website looks like in different browsers. You can be sure that it looks the same good. 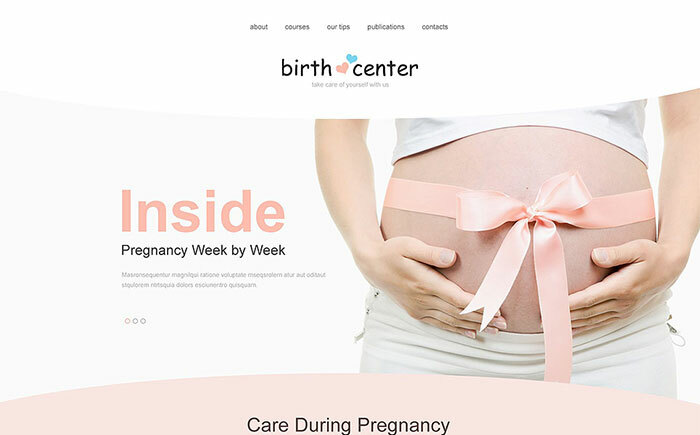 Looking smart and tender, this template can be relevant to design a birth center website. The template is crafted in the one-column layout, and galleries of images can be presented with a useful Slider. To match the style of the website, you can choose from a variety of fonts that are provided in Typekit Webfonts. To enhance the visual effect on your customers, you can incorporate both static images and Parallax animation. In order to make the navigation simpler, you can use Back to Top button. Without any doubt, your clients will appreciate the possibility to see the location of your center on the Google map that is added in this template. Getting in touch with you will also be easy for your customers, as there is a Contact Form that allows people to communicate with you. You will not have problems customizing your webpage due to the valid semantic HTML 5 coding. Moreover, you can be sure that the website will be suitable for any browser, because there is such a feature as Crossbrowser Compatibility in this template. Making an appealing website for a fashion model can be a challenging task, but it can be successfully achieved with this delicate and graceful template. The template is designed in a two-column style, so it gives you space to present different types of content simultaneously. It is not overloaded with special effects, thus making a clear emphasis on images that will demonstrate the beauty. Pictures can be shown effectively in convenient galleries with a Slider. Typography needed to give prominence to certain parts can be chosen from Typekit Webfonts. You will also find Google maps useful if you need to indicate the location of your company on the webpage. In addition, Contact Form can be applied to let others stay in touch with you. Valid semantic HTML 5 coding and Crossbrowser Compatibility are the guarantee that you will edit your website without problems, and it will look proper in any browser. 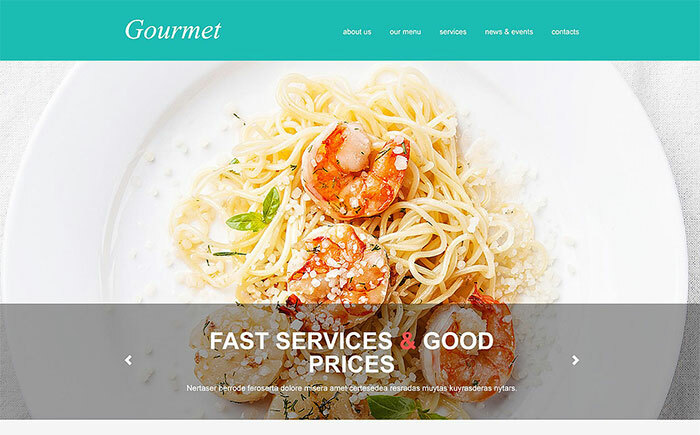 An engaging and attractive webpage of a restaurant should be like a gourmet meal, leaving a customer satisfied both with a desirable look and with a satisfying content. 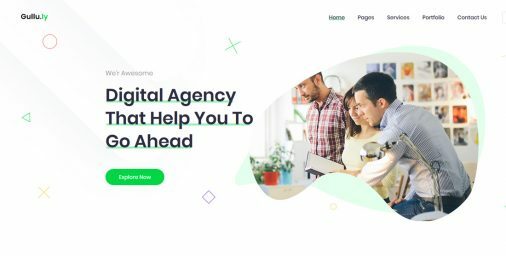 This template belongs to those Adobe Muse templates that will catch your eye immediately with its contrast, yet light, color scheme. It does not include animation, so your webpage will load faster. To classify elements, you can apply numerous fonts embedded in Typekit Webfonts of this template. Drag and Drop functionality will maintain the easiness of the webpage editing, as you will have access to various elements without touching any single line of coding. 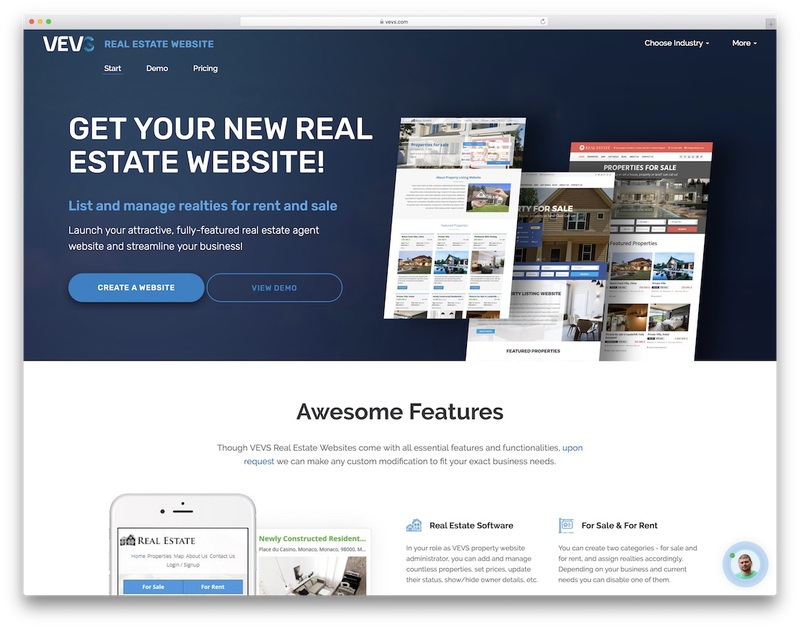 Crossbrowser Compatibility makes sure that your website will look perfect, no matter what browser your customers use to view your page. If you are about to create a fashion blog, you have to bear in mind that your website should be trendy to let your visitors know that you are an expert in fashion. This Adobe Muse ready template gives you lots of possibilities to design a fascinating webpage. Your content will be presented in one-column layout, and the images can be viewed in well-organized galleries with Sliders. The template allows for video integration, which creates additional possibilities to show the content and impress your visitors. Parallax effect increases the visual impact dramatically. An essential element of a fashion blog is a Contact Form that creates the possibility to get in touch with you in a couple of minutes. Another important element that can be added to your website is Google map, to show locations you want to indicate. You do not have to worry about the very process of creating a webpage, even if you are not an expert. Drag and Drop Content, as well as valid semantic HTML 5 coding, will help you customize your website effectively, while Crossbrowser Compatibility ensures good look of your site in any browser. 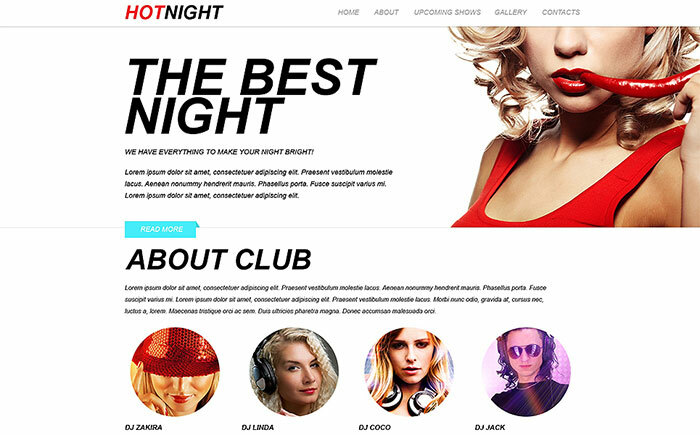 A night club’s website does not necessarily have to be bright; it can be striking even if it is created with clean contrastive design. An example of such a layout is this one-column template. To show your images, use efficient galleries. You can also benefit from presenting videos, as the template has got video integration option. Moreover, static images can be combined with the use of Parallax animation to impress your visitors. Another essential feature of the template is Google maps, which lets you state your location precisely. If your clients want to communicate with you, they will find a Contact Form to be very useful. The process of crafting your website is facilitated due to the valid semantic HTML 5 coding. At the same time, with Crossbrowser Compatibility you can be certain that your webpage will look fine in any browser. 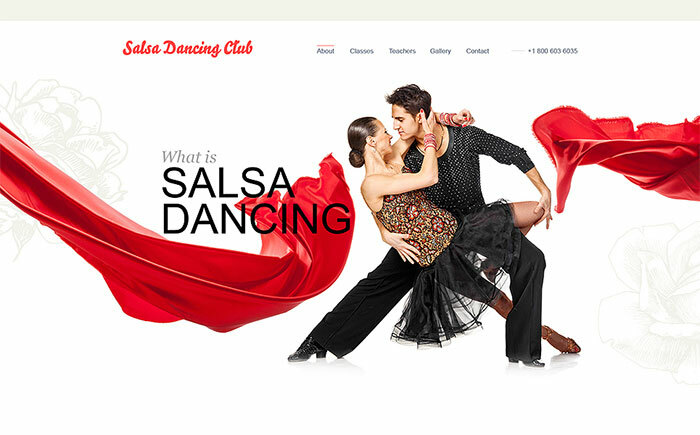 Making your visitors interested in your dance studio is possible with the help of a stunning and moving website. This template can be easily used with such a purpose. The template is not centered on animation, so it can ensure that your page will load fast. Emphasize various elements and titles with the help of Typekit Webfonts available in this template. Customizing your website will be an enjoyable experience due to the Drag and Drop Content, as well as valid semantic HTML 5 coding. No matter what browser your clients are going to visit, the website will look the same good, and you do not have to check any elements while you are editing your webpage. All in all, clean design in Adobe Muse templates is aimed at impressing visitors with clear, yet stunning, design where the focus is made on the content and information is perceived more easily. Such websites look stylish and organized at the same time, never leaving visitors disordered or in confusion.